THE Health-IT leadership challenge laid out for Nashville nearly 2 years ago by Brookings Institution researchers could hypothetically be partly satisfied by a new Nashville startup: SOLASTER LLC, a Jumpstart Foundry portfolio company run by CEO Stuart Lackey recently filed for a planned $2.6MM raise. State records show the company's registered name as BC for Health LLC. The company says online it is creating "a new economy designed from the ground up for an efficient, patient/consumer driven health system. The economy is made possible by a digital currency, a technology platform and a decentralized autonomous organization on the Ethereum blockchain. 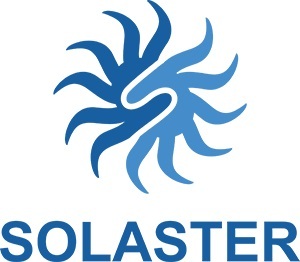 Solaster is designed to incentivize and enable viable innovation and value exchange between all the necessary members of the global health economy: patients, providers, catastrophic insurance companies, scientists, pharmaceutical companies and innovators." Folks, prima facie, if they did HALF this, they'd put Nashville on the map. ► FCA Venture Partners VI, a fund of an affiliate of Clayton Associates, filed Jan. 30 for a $75MM equity raise, citing $41.1MM in. Close-on-the-heels of that one, FCA folks (and Tom Hearn of Winston Salem) are also associated with a $25MM filing ($10.2m in) here. Here's the FCA portfolio page. ► ALTITUDE Ventures' Rolling Hills Ventures I LP on Feb. 1 reported raising nearly $15.3MM for equity capital. A note on the filing suggested the raise may still be open. Altitude is an affilite of Clayton Associates in Brentwood. Here's the Altitude portfolio page. COLE McCall, a 22-year-old Memphis native, has co-founded Royal Sky Investments and is associated with a January placeholder filing linked to its Crypto Sky Fund LP. No target is specified. Among the firm's advisors are NY-based LoPresti Law Group and Colorado-based Richey May. VNC research suggests that McCall comes from a family of entrepreneurs and is interested in both building student understanding of finance and raising Memphis' profile in crypto-finance. 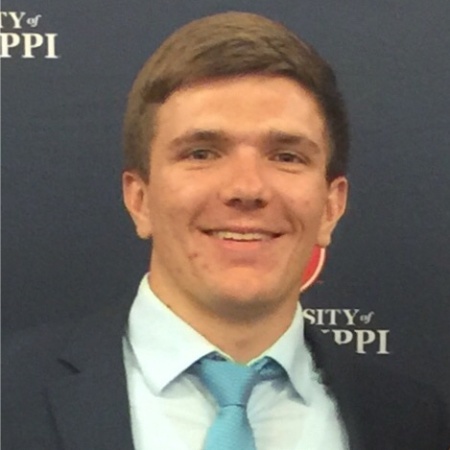 His LinkedIn indicates he is finishing his Master of Accountancy work at the University of Mississippi, and already holds bachelor's degrees from Ole Miss. UPDATED A Jan. 19, 2019, filing by McCall seems to indicate the offering was essentially closed without taking investments. ► NEW Blockchain in Transport Alliance (BiTA) says it plans to publish this spring standards for adoption of blockchain technology across the supply chain. Chattanooga serial entrepreneur Craig Fuller, CEO of FreightWaves, is apparently the impetus behind BiTA. ► BLOCKCHAIN Foundries Inc. was recently registered by Patrick Malotte of Clarksville, for purposes unknown, based on State records. VNC research suggests it might be an infrastructure play. Malotte has not responded to queries. ► AVONDALE Partners has a sales role for an unspecified raise for Courage Investments' Courage Music Royalty Fund, as reflected in SEC filing here. More overtly, huge Music copyrights buyer Round Hill Music Royalty Partners (parent of Round Hill Nashville and other entities) announced another royalty fund, with a $260MM warchest. They already got some Blake Shelton up in there. ► BORDER run? The spankin' new Dalton (Ga.) Innovation Accelerator is accepting applications from companies based in its north Georgia region, til March 1, with a PitchDay on May 15. ► TED Townsend, a Memphis native who was for six years the COO for Tennessee Economic and Community Development in Nashville, on Jan. 8 became the University of Memphis's chief economic development and government relations officer. ► CHATTANOOGA's Greg Laudeman says his startup Eduity platform for crowd-sourcing workforce development will go into beta release this spring. The company offers online software for collaborative workforce planning, as well as talent- and tech-development consulting services. July 2, 2018, article Chattanoogan here.